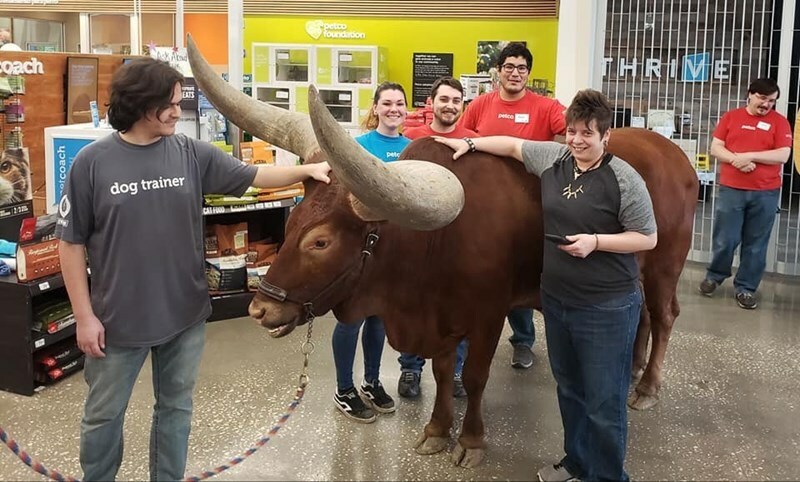 A Texan couple recently decided to put Petco’s “All leashed animals are welcome” policy to the test by bringing in a complete gigantic beast. Such a creature that wouldn’t even fit through the entrance door—an African Watusi. Now, I know what you’re thinking. Why would anyone do that? 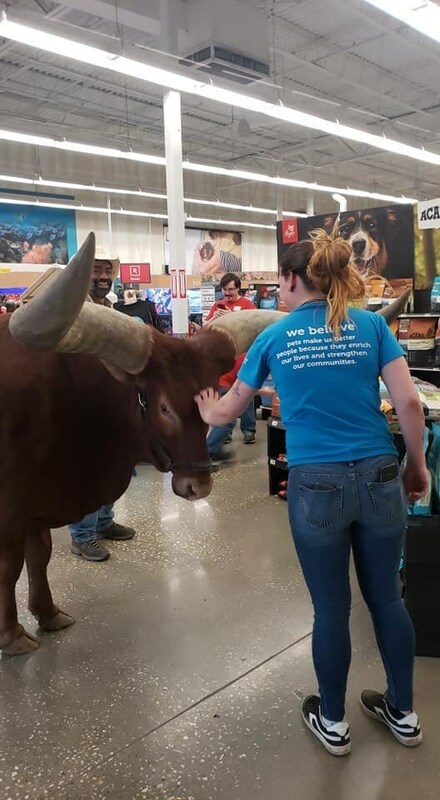 Well, you see, the sole purpose of this whole act was to see how Petco reacts; whether or not bringing ‘leashed pets’ into Petco stores is allowed regardless of their size. As it turns out, Petco didn’t disappoint. However, let one thing be clear. When we said the couple brought a “gigantic beast,” we meant a GIGANTIC beast. 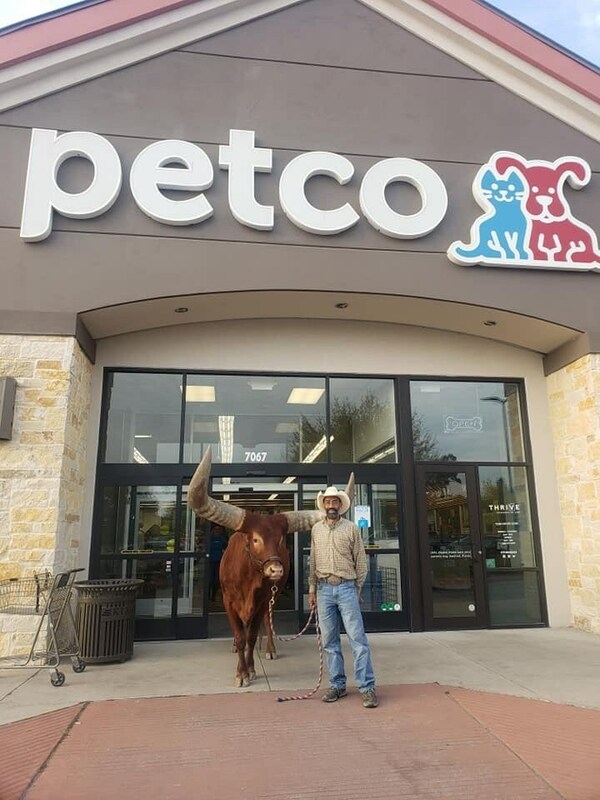 Make no mistakes; according to a source they had to tilt Watsui’s horns so he could fit in the glass door! Now with that in mind, scroll down and take a look! Here’s the massive 1,600-pound steer that everyone’s talking about. His name is Oliver, and you can imagine his real-life size by the proportion of his enormous horns! With hopes of receiving a somewhat ‘different’ response, everyone was shocked when Petco welcomed Oliver with open arms! That’s not all! 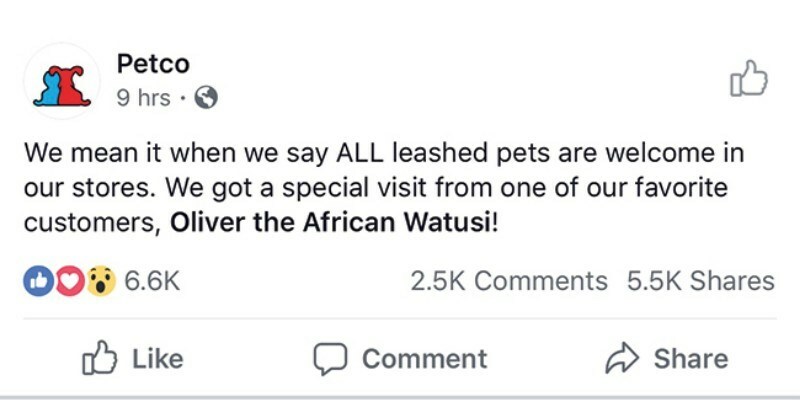 After the post went viral and the whole incident caught everybody’s attention, the CEO of Petco himself shared a few words in a tweet. Well, it looks like everyone really loves Oliver and that Petco, after all, did manage to keep their word. What do you guys think of it all? Let us know in the comments below.